Hi all, here are some pictures of Part 1 of my collection. I didn't have room to spread everything out, so my apologies if it's hard to make out. 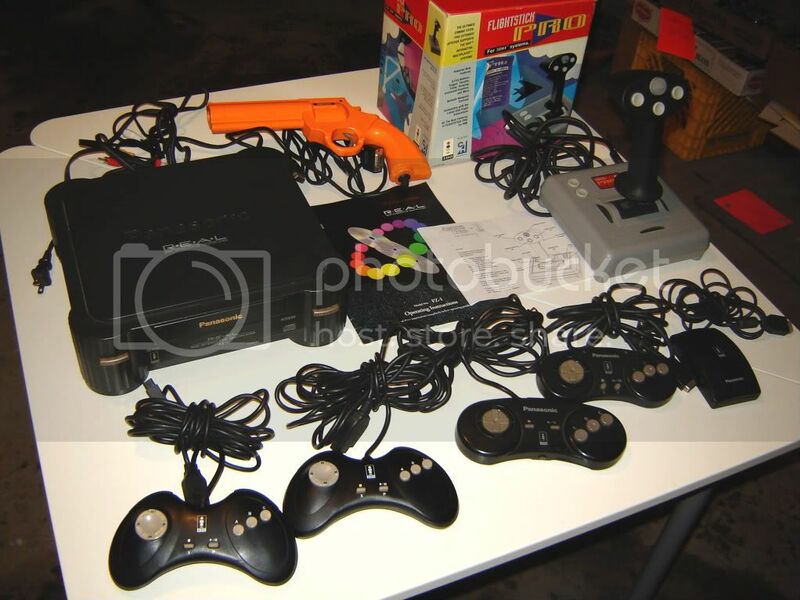 Not pictured is a sweet FZ-1 and the controllers. A few notes: The jewel that reads "Panasonic Interactive Media" on the spine is Atlanta Olympic Games. 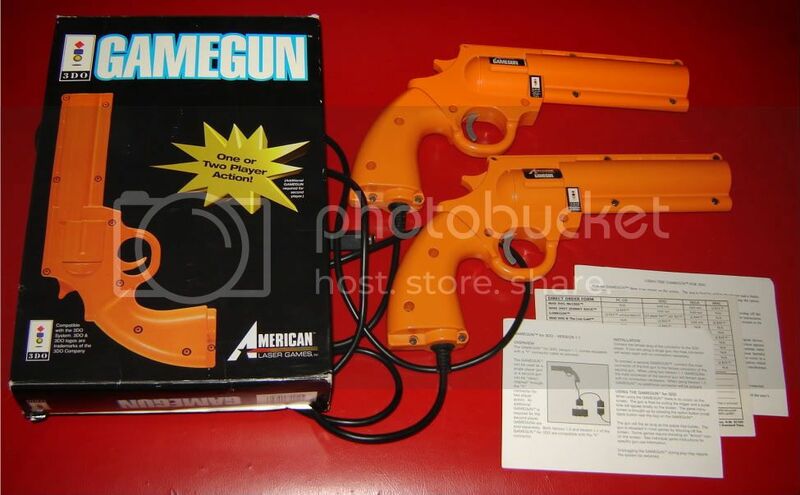 The Game Guns are both the 2-player kind, one has the box and paperwork. 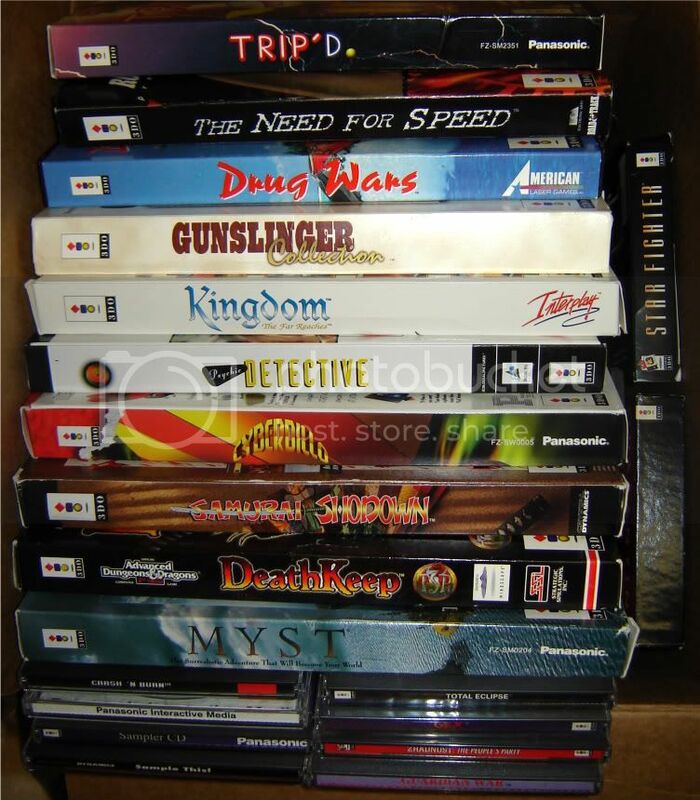 The last 4 games pictured -- BC Racers, Captain Quazar, Corpse Killer & Way of the Warrior have everything EXCEPT, sadly, the game discs (so if anyone is looking to complete their disc-only games, let me know). 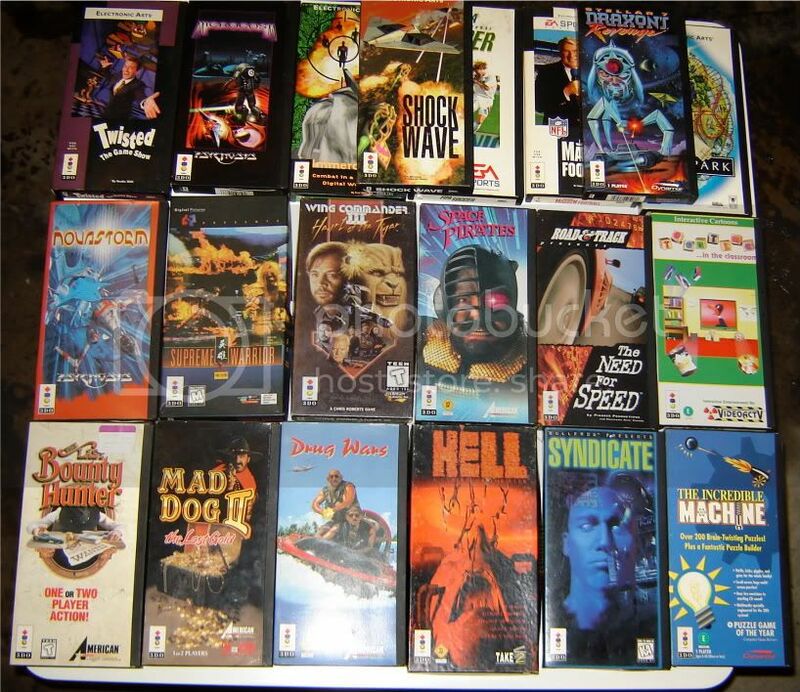 I think my favorites are Cannon Fodder and Escape from Monster Manor. Casper is also surprisingly fun. 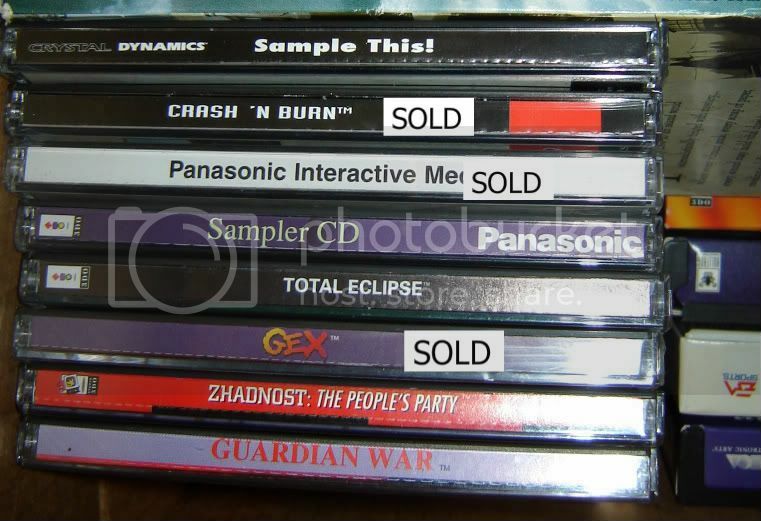 I also have another FZ-1 and a bunch of games I recently acquired, but I haven't had time yet to organize them for a photo. 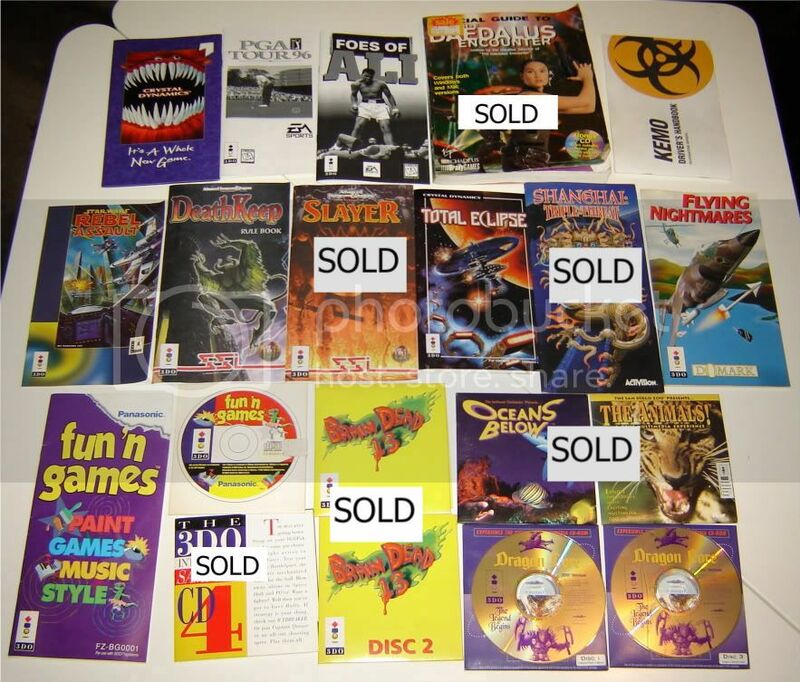 I dug up some more games. 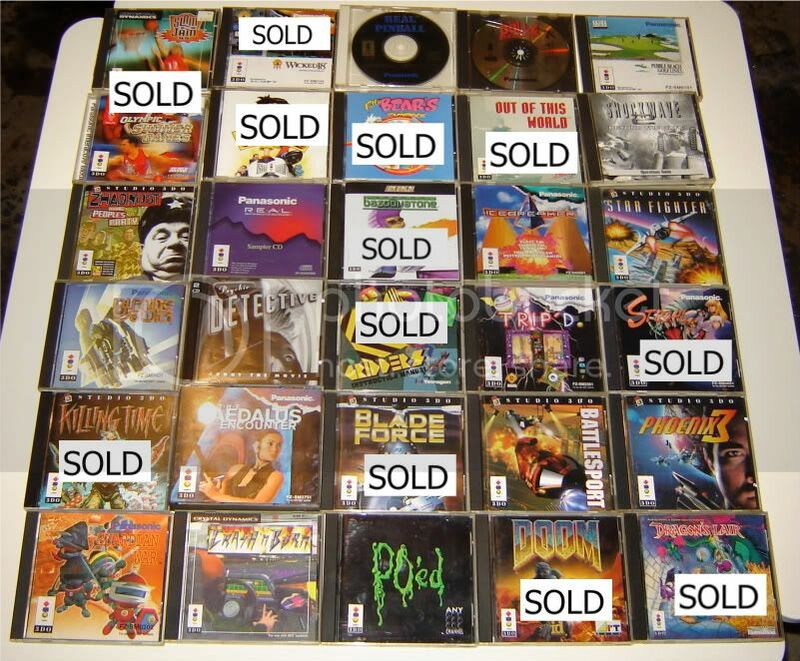 There are some duplicate games from the first set I pictured, but I guess it never hurts to have a spare. 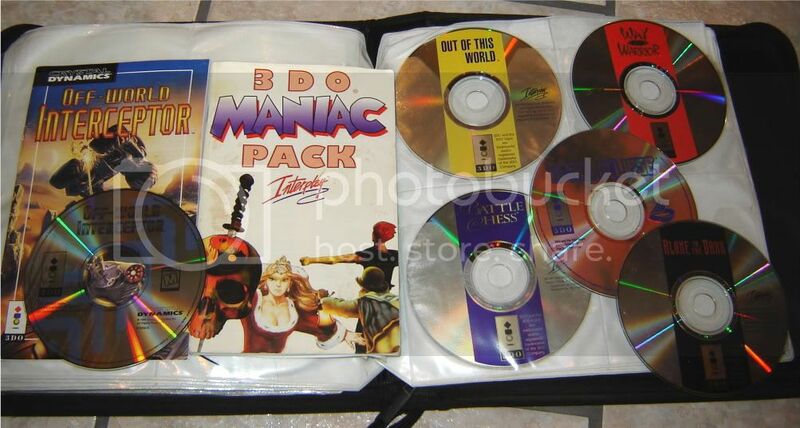 The Maniac Pack is kind of neat, in that it's 4 full games that were put together in one compilation, with all the manuals combined into one. Wish I had the outer box for it. The Operation Jumpgate pictured here is just the longbox. I love that Road Rash came with a music CD featuring some hard-hittin' tracks! Powers Kingdom is apparently the Japanese version of Guardian War. Here's "part 2" of my collection. 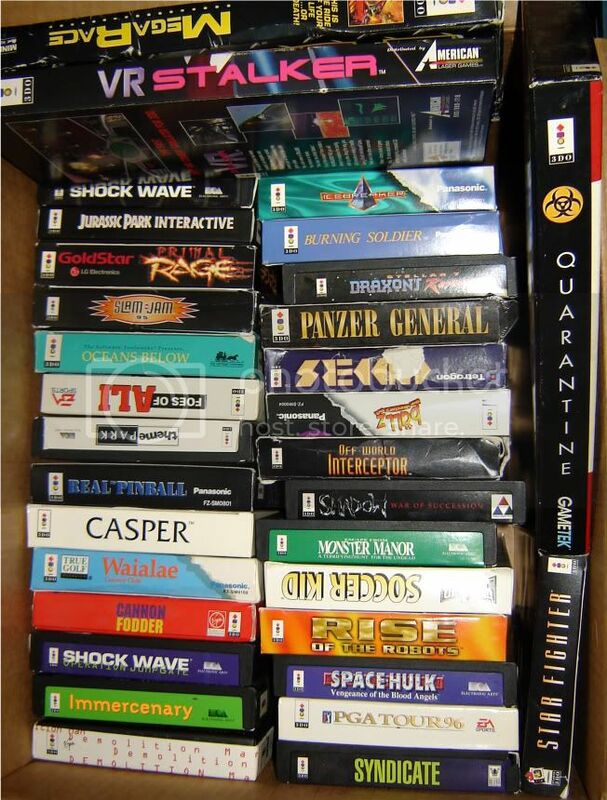 There are some more duplicate games, but the more the merrier! 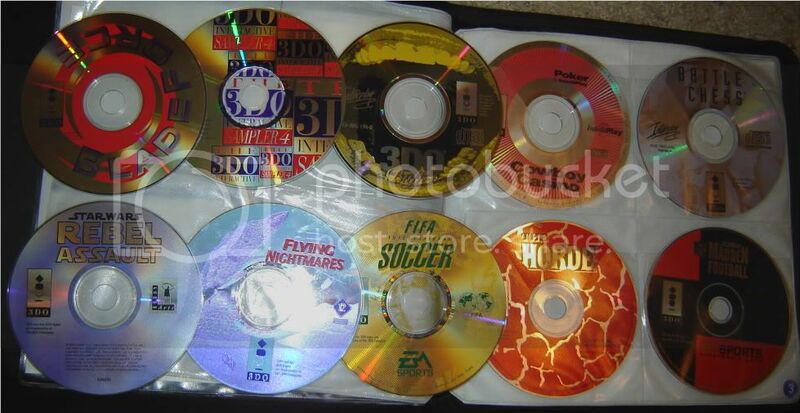 The discs are generally in nice condition. I keep these items apart (physically and mentally) since I acquired all the following items from a smoking home. They are currently undergoing sort of a rehab in my garage to neutralize any smoke odor. 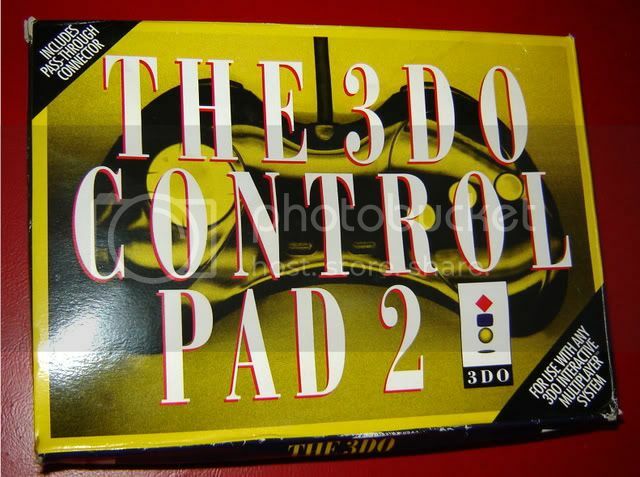 It's funny that out of those 4 control pads, each one is a slightly different shape and size. The Game Gun has the 2-player pass-through connector. 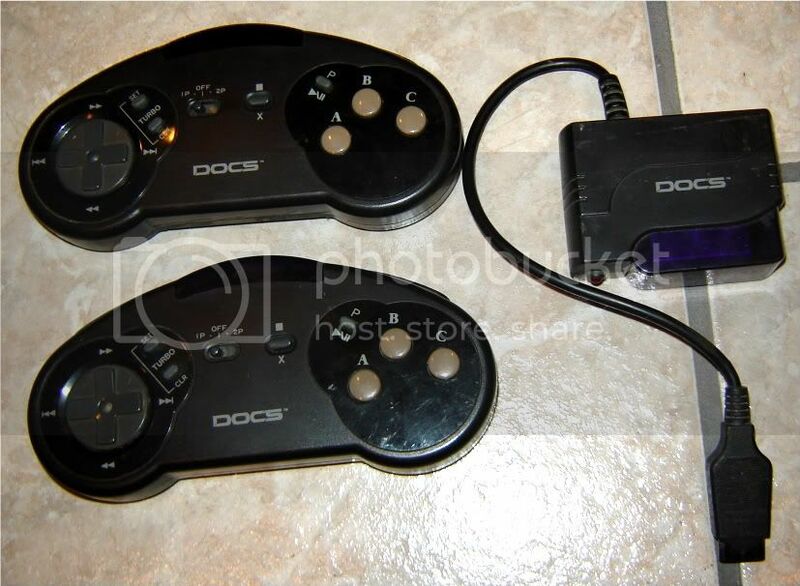 Some of the loose manuals in the 4th picture go with the loose discs in the last pic. Somehow, I am missing Disc 2 of Dragon Lore. Anyone needing discs 1 or 3? Wing Commander III has the box, manual and inserts but no disc. The Gunslinger Collection is missing disc 2, but I guess having a boxed copy of Mad Dog II makes up for it. I think if there was ever a contest for cheesiest box art on a 3DO game, the American Laser Games would sweep the awards -- they just don't make 'em like Space Pirates anymore.